Three books are currently available and can be obtained from this website. classical paper format; version to be ordered and prepaid for surface mailing (re. below – last section). 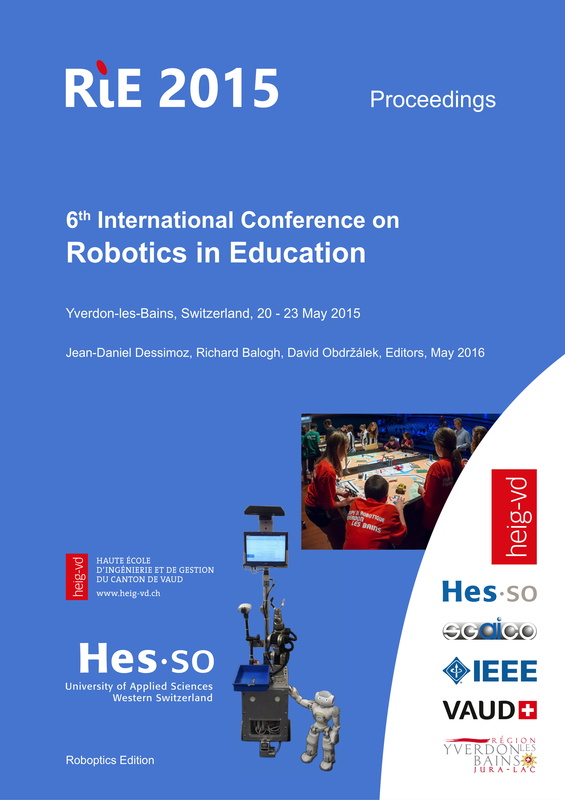 « Robotics in Education, RiE 2015 », Proceedings of the 6th International Conference on Robotics in Education, RiE 2015, HESSO.HEIG-VD, Yverdon-les-Bains, Switzerland, 20-23 May, 2015; Jean-Daniel Dessimoz, Richard Balogh and David Obdzralek, Editors; ISBN 978-2-9700629-5-0, Roboptics Editions, Cheseaux-Noreaz, Switzerland, 150 pp, May 2016. Re. below (last section) for ordering the book in classical, paper format. 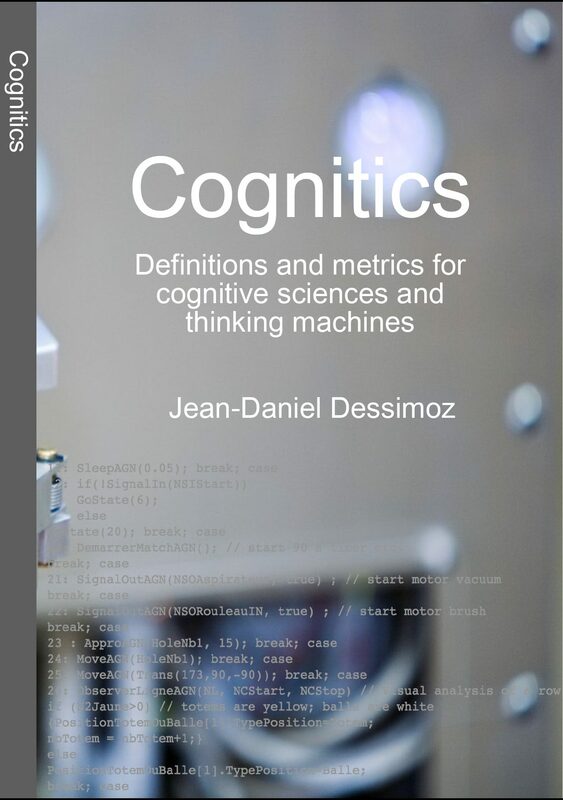 « Cognitics – Definitions and metrics for cognitive sciences and thinking machines », Jean-Daniel Dessimoz, Roboptics Editions, Cheseaux-Noréaz, Switzerland, ISBN 978-2-9700629-1-2, pp169, January 2011. 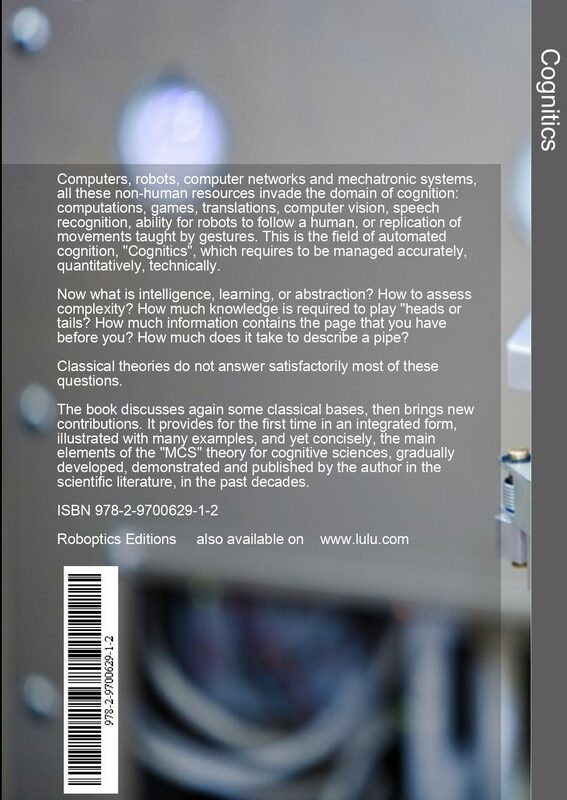 Download the content, click Cognitics011.01.09.pdf (3.9 Mb). 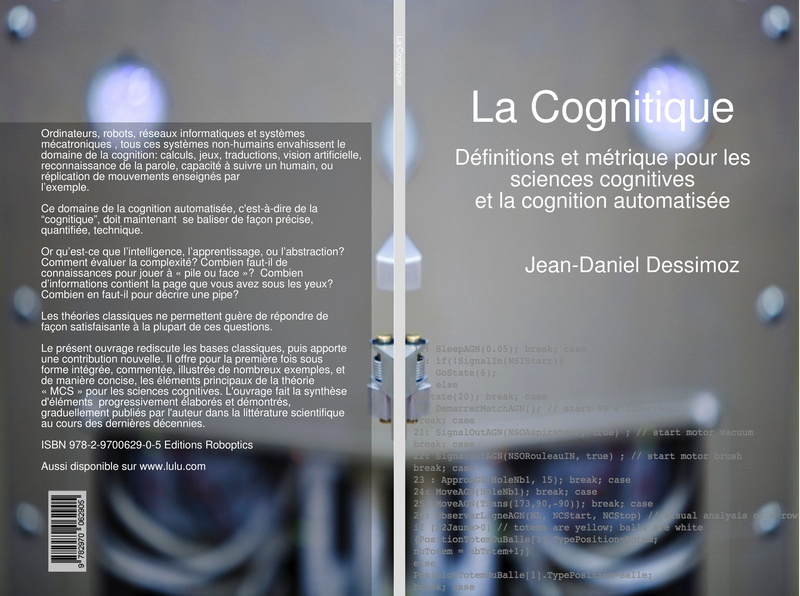 “La Cognitique – Définitions et métrique pour les sciences cognitives et la cognition automatisée”, Jean-Daniel Dessimoz, ”, Editions Roboptics, Yverdon-les-Bains, Switzerland, ISBN 978-2-9700629-0-5, Aug. 2008. To download cover: click download. To download the content: click here (4.3 Mb). The charge for delivery is 20 CHF/$/Euros for 1 to 5 copies. 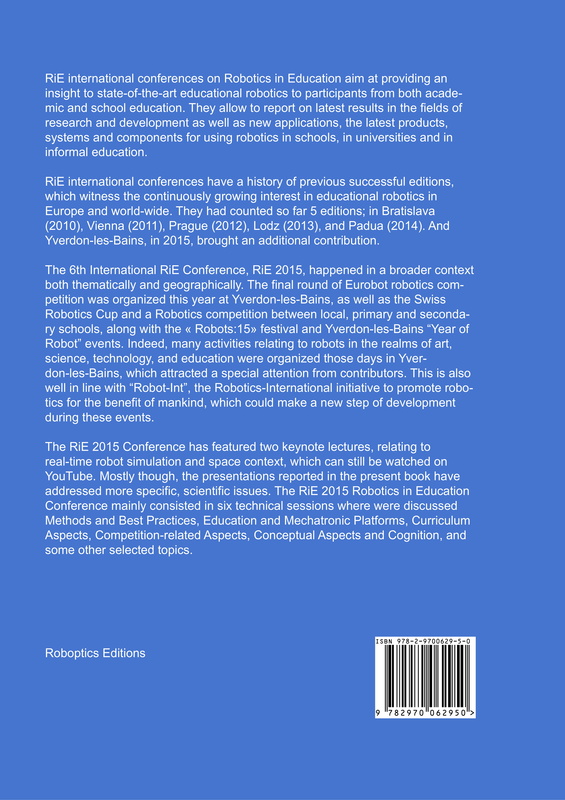 Please contact us by e-mail (info@roboptics.ch) if some other elements of information are required.